He was one of the great ocean paddlers of all time -- some say the greatest. 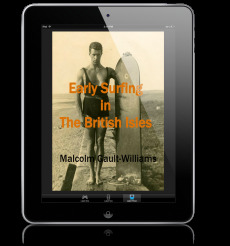 An early California surfer, he was also a lifeguard, Waikiki haole beachboy, fighter, and -- later a Honolulu policeman. He is credited with helping rediscover the North Shore of O‘ahu as prime surf territory and his inter-island paddles are the stuff of legend. One day in the early 1980s, he walked out into the California desert and left the beach and all who knew him forever behind. His name was Gene Smith, although he is best remembered by his nickname of "Tarzan," after the character immortalized by Edgar Rice Burroughs. 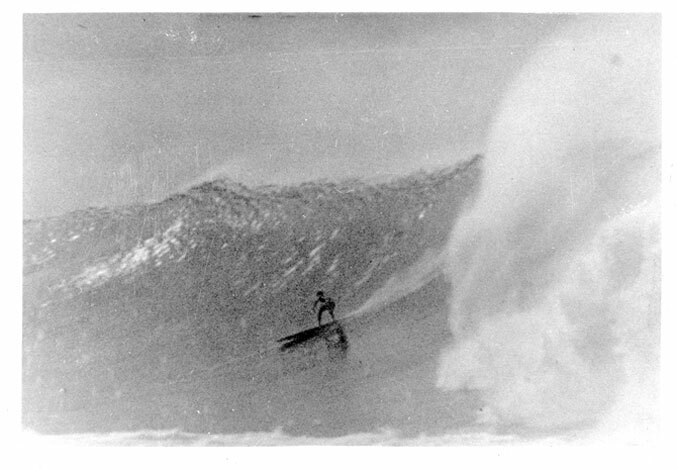 Despite all that we know about him -- especially his paddling records -- he was such a loner, so different, and left surfing so strangely, that mystery surrounds his memory to this day.  “Last Chapter: 'Tarzan' Smith"”, The Surfer's Journal, Volume 7, Number 4, Winter 1998.  “TARZAN DEDUX: Chapter Fill-Ins From The Life of Gene Smith,” The Surfer's Journal, Volume 13, Number 2, Spring/Summer 2004. Photographs from the Smith Family photo album. I combined the research for both printed articles into one chapter for the LEGENDARY SURFERS collection. This chapter contains all the information from the two articles, plus material that was left out due to space considerations with the magazine versions. Total length is approximately 14,200 words, comprising 38 pages, including footnotes and vintage photos from the Smith family collection (6.48 MB).